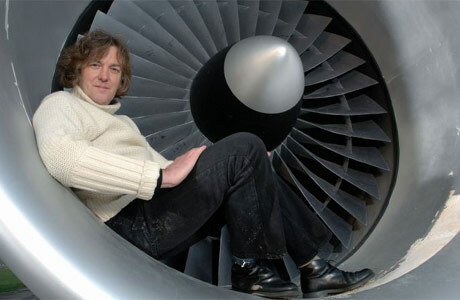 And The Part of The Doctor Goes to….. So it was announced that Matt Smith will be taking over from David Tennant as The Doctor. Matt is the youngest Doctor to date as he is only 26, he has worked with Billie Piper in the adaptation of Philip Pullman’s The Ruby in the Smoke and The Shadow in the North, he was also in the ITV 2 show The Secret Diary of a Call Girl with Billie. this is the Doctor Who Confidential Interview with Matt Smith about how he reacted and his thoughts and feelings about him being cast as The Doctor. David Tennant has bought something new and different to the role of The Doctor in the same way that all of the others before him and the same can be said about Matt as he will reveal the Timelord that he will create all the way to the clothing that he will wear as The Doctor like David with his trench Coat and his Pinstriped Suit. 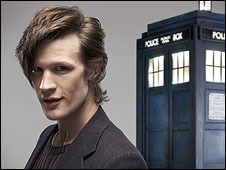 Matt Smith will start filming later this year so that the 5th season can be broadcasted for spring 2010. David Tennant will be filming the 4 special episodes in a couple of weeks time so that the first one will be ready for Easter of this year. Nothing has been said about The Doctors Companion(s) for any of the specials or for the 5th season but details will be more detailed the closed to the time as it is always the case. Matt Smith will Have to prove to the fans of the show that he is ready and able for the part as he has some very big shoes to fill. 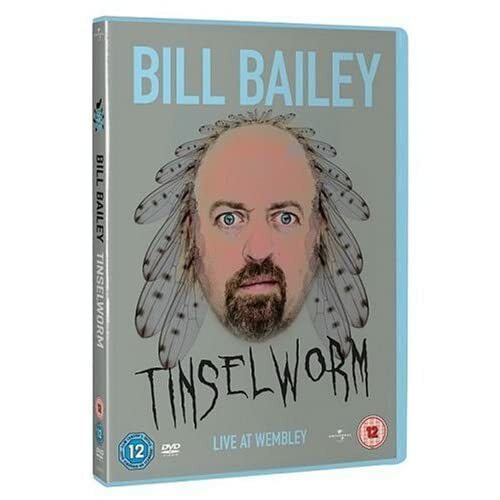 ok so i may have been watching Bill Baily a bit too much but he is a brilliant comedian. i have started to call Christmas the PGP for a while now and it is better, shorter and is accurat as to one of the factors of this time of year. 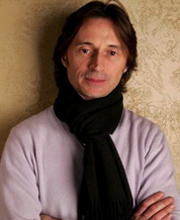 so i am better now as a couple of weeks ago i was not that well and i had to have time off college. i did go back for the last couple of days and it was fun. so today i am going out to strood at about 10:30 to see my the majority of my family. 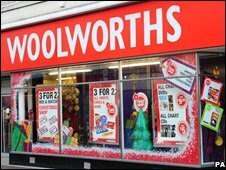 i opened the last door on my Advent callender yesterday but it dose not matter as i will be getting quite a lot of choclate later as well as the presants witch i will but a list up later so i can shere with the world. 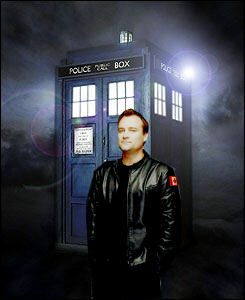 David Hewlett (stargate Atlantis) has said in many interviews that he has been a big Doctor Who fan and like David Tennant it has been a life long dream to play the role of The Doctor. 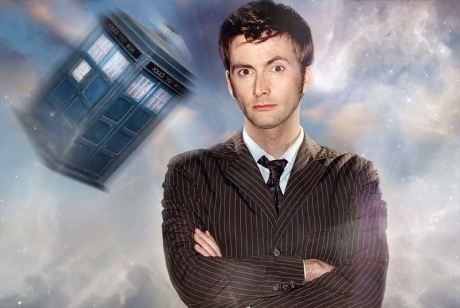 with the sudden of David Tennant it will then leave a gap in the show that not that many will be able to fill but i have the utmost confidence in David Hewlett to fill the, to be quite honest, big shoes of the Timelord. 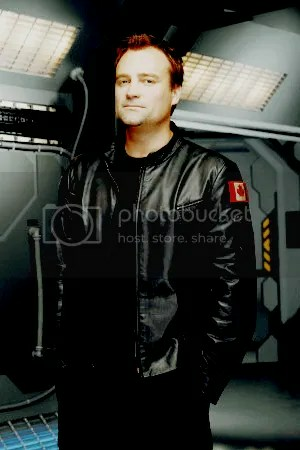 David Hewlett’s part in Stargate Atlantis needs him to be able to speak at a very fast pace, also the character of Rodney McKay needs to be able to use Techno-babble, but the most important bit of McKay is that he has to do them both at the same time. Here is an example of the abilities of David Hewlett with the reading of a page of technobabble at speed and not tripping over the lines or getting confused. 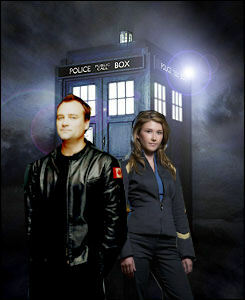 I do beleve that David Hewlett will make a blinding replacement for David Tennant. If not i will eat my TARDIS!!!!! !